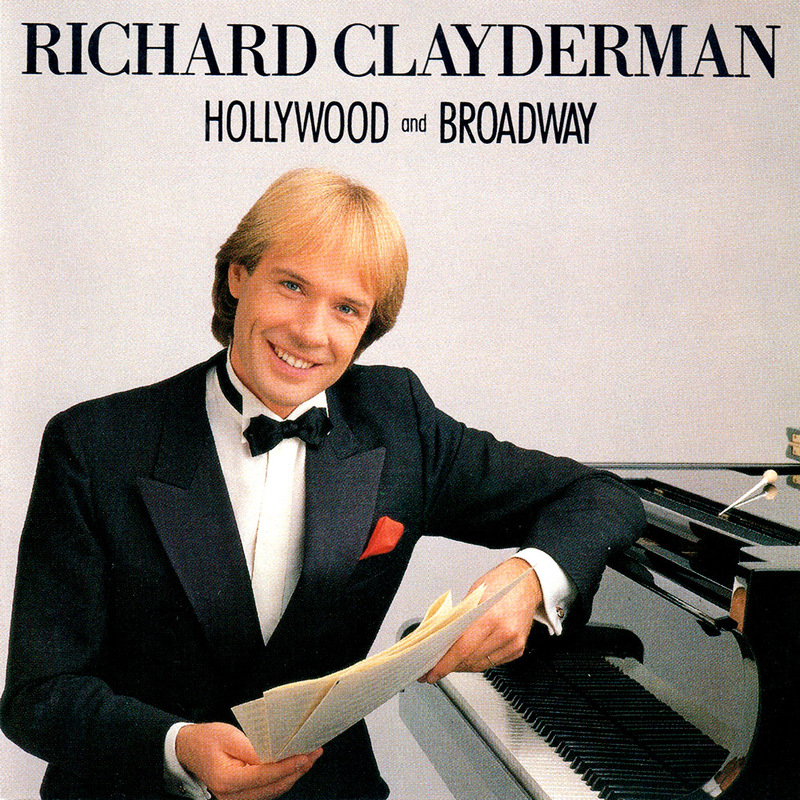 ‘Hollywood and Broadway’ is a Richard Clayderman studio album featuring 6 musical masterpieces from Hollywood and a further 6 from Broadway. All of the tracks have been re-released in various Richard Clayderman compilation albums world-wide, and are available to download via the links above. ‘Smoke Gets In Your Eyes‘, You’ll Never Walk Alone‘, ‘People‘ and ‘The Way You Look Tonight‘. It is almost certain that when musical history is written in the next century, most, if not all of the composers of the songs on this album will be compared to Tchaikovsky, Chopin, Strauss and other composers who had the rare gift of structuring beautiful melodies. Gershwin certainly enjoys the distinction of a “Classical Composer” throughout the world today. Thanks to Hollywood and Broadway, all of these songs presented to the public world-wide by such great acts as Fred Astaire, Ginger Rogers, Gene Kelly, Rita Heyworth, Barbara Streisand, Rex Harrison and many others. By making my selection from a treasure chest of melodies over the last 50 years, I have of course, omitted many other beautiful songs. I do hope that you will forgive me. What I have done is to study the songs which were originally scored on the piano and therefore lend themselves to instrumental arrangements, despite the absense of the artists who made them famous. On this album I pay tribute to Rogers & Hart, Rogers & Hammerstein, Jerome Kern, Cole Porter, George Gershwin, Lerner & Loewe and Styne & Merrill, and I hope you enjoy listening as much as I enjoyed playing these ‘musical gems’.